Species radiations in the Atlas Mts. (North Africa) were analysed for a set of species: darkling beetles of the genus Pimelia, scorpions of the genus Buthus. Those species groups might show similar processes of speciation around the Atlas Mts., which have taken place in the past as a consequence of strong mountain barriers during the glacial periods. Furthermore, this region has acted as important refuge and speciation centre for thermophilic species. Additionally, the Hoggar Mts. were included in these analyses to analyse populations of a southern exclave to test long-lasting isolation (e.g. speciation) processes. The Oasis of the Sahara desert south of the Atlas Mts are a prominent example to study complete habitat isolation and the effect of a lethal matrix surrounding them. The forest butterfly Parage aegeria were analysed at the northern range of the Sahara dessert along three wadi-systems, at 20 oasis. No genetic/morphometric differentiation was detectable. (markers: microsatellites, DNA sequences, morphometry of wings and genitalia, funded by the Fonds national de la recherche Luxembourg FNR and Musée national d´histoire naturelle Luxembourg). 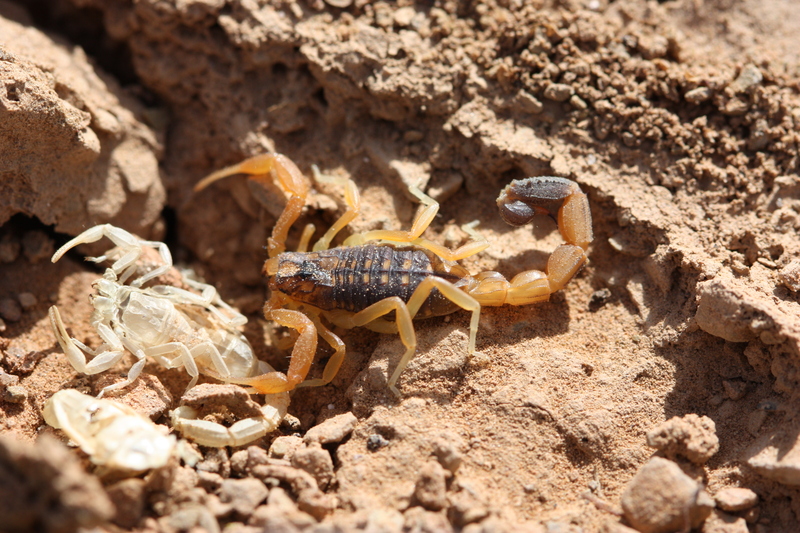 Read more: Habel JC, Husemann M, Schmitt T, Zachos FE, Honnen A-C, Petersen B, Parmakelis A, Stathi I (2012) Microallopatry caused diversification in Buthus scorpions (Scorpiones: Buthidae) of the Atlas Mountains (NW Africa). PLoS ONE 7: e29403. Husemann M, Schmitt T, Stathi I, Habel JC (2012) Evolution and radiation in the scorpion Buthus elmouatakili (Scorpiones: Buthidae) at the foothills of the Atlas Mountains (North Africa). Journal of Heredity 103: 221-229.